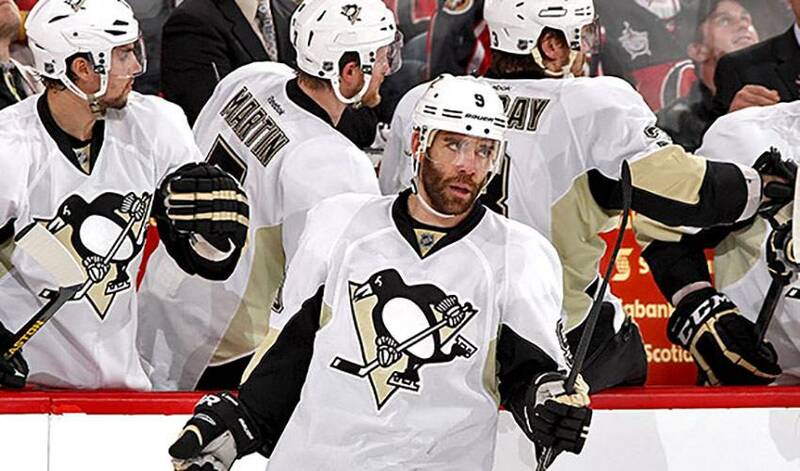 When the call goes to voicemail on Pascal Dupuis’ iPhone, it’s not the Pittsburgh forward’s voice you hear, but rather a priceless hockey-themed message courtesy of his two oldest kids. Sorry, but our dad can’t come to the phone right now. He’s busy playing in the Stanley Cup Playoffs. Maeva and Kody Dupuis recently took it upon themselves to take brief command of their father’s cell phone and deliver that special message. The veteran forward, who had four strong seasons in the Quebec Major Junior Hockey League but went undrafted, will need to focus those energies on helping the Penguins claw back into their Eastern Conference final clash with the Bruins. Boston dominated Pittsburgh in the first two games, earning a 3-0 win in the curtain-opening contest, and followed that up with a 6-1 triumph, giving the Bruins a 2-0 series edge heading back to Beantown. With some of the game’s top stars in their lineup, including 2013 Ted Lindsay finalist Sidney Crosby, perennial all-star Evgeni Malkin, Norris Trophy nominee Kris Letang and offensive catalyst Chris Kunitz, Pittsburgh will no doubt need Dupuis, who excels at both ends of the ice, to help turn things around. From 105 points in 61 contests over his final season of junior hockey, to a defence-first assignment when he was with the Minnesota Wild, Dupuis worked hard to attain an ideal balance in his game. Dupuis, who won the Stanley Cup in 2009, is hoping his experiences pay off with a change of fortune versus the Bruins and another trip to the finals. One change he isn’t hoping for?